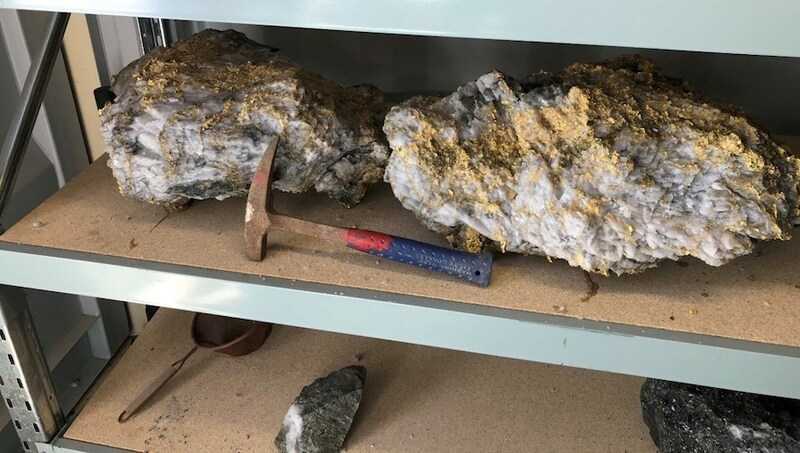 Shares in Canada’s RNC Minerals (TSX: RNX) were off to the races on Monday after the miner revealed it had unearthed more than 9,000 ounces of high-grade gold from a single blast over the past few days at its Beta Hunt mine, in Western Australia. That’s more than 560 pounds (255kg), or $10 million of gold in just four days, if you were to just cash it in today. More than 9,000 ounces, or $10 million worth of gold, were recovered in a four-day period. The gold-encrusted rocks were found about 500 metres below the surface in an area just 3 metres wide and 3 metres high and their discovery is being described as a “once-in-a-lifetime” one. RNC Minerals’s shares skyrocketed on the news, trading up more than 80% to 18 Canadian cents in Toronto at 9:30 am ET. The largest rock weighs about 198 pounds (90kg) and took three men to lift it onto the back of a pick-up truck. It's covered in an estimated 2,300 ounces of gold worth about $3.8 million at today's gold price. The second-biggest piece was not far shy at 132 pounds (60kg), with an estimated 1,600 ounces lodged within the quartz specimen, valued at about $2.7 million. And there’s more where that came from. 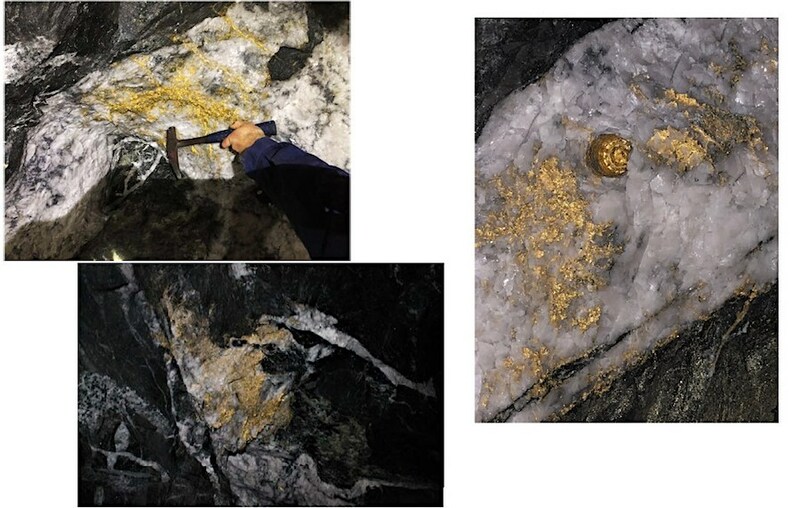 “Recovering 9,250 ounces of high grade coarse gold from a single cut on the 15 level at our Beta Hunt mine, including specimens which could rank among the largest ever discovered, underlines the importance of this discovery,” Mark Selby, President and CEO of RNC, said in the statement. The executive noted that barely eight weeks earlier, at the end of June, 1,500 ounces of high grade gold were recovered from other sediment structures on the 14 and 15 levels. “These discoveries highlight the high-grade gold potential of Beta Hunt,” Selby said. In the June quarter, RNC Minerals extracted 13,320 ounces from the mine, which is actually on the market — the company is trying to find a buyer willing to fund more exploration drilling. RNC plans to auction off some of the most impressive specimens as according to Selby, collectors in North America and around the world are known to pay up to a 50 percent premium on the gold metal value for rare specimens. “Given the rarity of the rock, and the physical beauty and presentation of the gold that's there, it's a very spectacular stone in multiple ways so we'll see whether 20, 30 or even 50 percent premiums apply here,” he said. Beta Hunt mine is actually on the market — RNC is trying to find a buyer willing to fund more exploration drilling. But not only that — the Toronto-based company may soon sell the mine itself, as it has been trying to find a buyer willing to fund more exploration drilling. “Given the significance of this discovery to the exploration potential and value of Beta Hunt, RNC has decided to consider all alternatives, including a sale,” RNC said in the statement. RNC is the first owner of the Beta Hunt mine to focus on drilling deeper in the Lunnon Basalt in its search for gold. No wonder is also the first one to discover and mine gold from newly found coarse gold located entirely within the Lunnon Basalt.